Dr. Faustine Williams Ph.D., M.P.H., M.S. 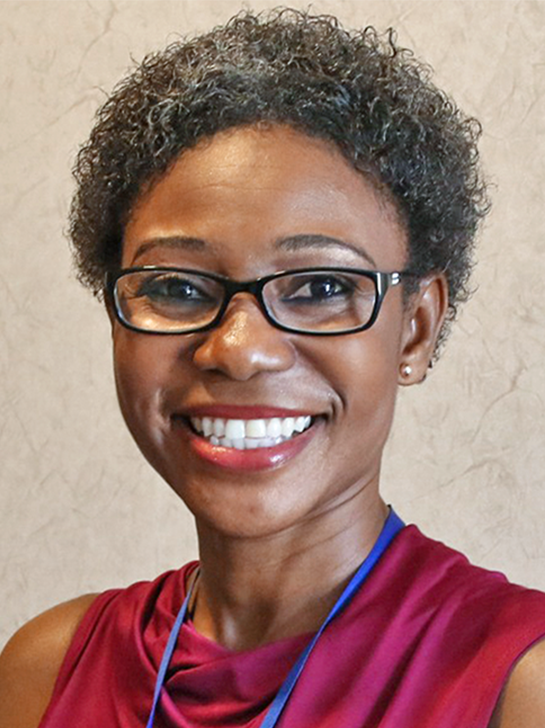 Dr. Faustine Williams is a Stadtman Tenure-Track Investigator and NIH Distinguished Scholar. She is a trained transdisciplinary researcher with a focus on cancer prevention and control and health disparities, specifically interested in inter- and intra-health disparities in chronic diseases and finding ways to reduce and/or eliminate health disparities. Dr. Williams Health Disparities and Geospatial Transdisciplinary Lab is housed in the Population and Community Health Sciences Branch of the Intramural Research Program. She uses mixed methods including community-based system dynamics, community-based participatory research, geographic information systems, storytelling and qualitative approaches to understand the complex interactions of factors contributing to health disparities to develop and implement effective interventions to increase healthy behaviors and outcomes, especially among populations that experience the highest disparities. Current projects include investigation of geographic variations in cancer incidence and treatment patterns. She was an Assistant Professor at East Tennessee State University and Washington University in St. Louis School of Medicine as a Staff Scientist prior to joining the NIH. Dr. Williams received her PhD in Applied Social Sciences, MPH in Health Promotion and Policy and MS in Health Informatics from the University of Missouri, Columbia. Williams F, Colditz G, Hovmand P, Gehler S. Combining community-engaged research with group model building to address racial disparities in breast cancer mortality and treatment. Journal of Health Disparities Research and Practice, 2018;11(1):160-78 Williams F, Thompson E. Disparities in Breast Cancer Stage at Diagnosis: Importance of Race, Poverty, and Age. Health Disparities Research and Practice, 2017; 10(3):34-45. Imm K, Williams F, Housten A, Colditz GA, Drake BF, Yang L. African American prostate cancer survivorship: Exploring the role of social support in quality of life after radical prostatectomy. Psychosocial Oncology 2017; 35(4):409-423. DOI: 10.1080/07347332.2017.1294641.